From the boardroom to the training room and even the mailroom, we offer many affordable, practical training table and conference table solutions. Factory direct pricing on conference tables and training tables! So, whether you are a start up or a well established company, your office furniture business is top priority! The versatile lines of dining tables especially suited for the break room, lunchroom or restaurants are available at Ofconcepts. To keep everyone motivated and energized food and nourishment is needed for each and everyone in the office. What better place to recharge than on one of Ofconcepts dining room tables in the designed break area. Having a communal table setting can increase the ease everyone of the office not only consumes their food but to interact with their co-workers. The Dining Tables available at Ofconcepts range in many different colors, shapes and sizes. 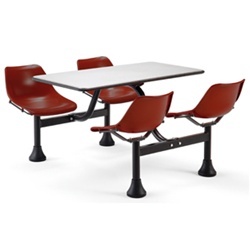 Office Furniture Concepts offers numerous break room tables and lunchroom table options for education, industrial and commercial applications from name brand manufacturers such as Mayline, OFM, and Global, to name a few. Many sizes and colors are available. When considering the purchase of a break room table or lunchroom table you should first measure the space where the table will be placed. Make sure to allow for efficient space for seating, as well as area traffic flow. For additional help or consultation, please contact us directly, as we would be happy to provide you with free space planning. 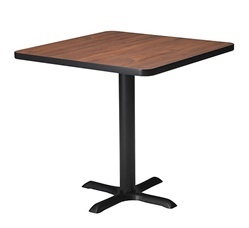 Break Room Tables are ideal for a break room, cafeteria, or any hospitality-type settings. Many designer colors are available to conform to your specific decor. Because break room areas tend to be very limited in space first consider whether a circular or rectangular/square shape may work best for the area. The next step is to measure the area the entire area of the room in which the table will be located. It's important to consider the size of the table, along with the size of the chair and where the chairs will be placed in relation to the table. While the table may fit well into the space, when adding seating to the equation, it may not allow to adequate traffic flow within the space. Office Furniture Concepts offers free space planning, so please feel free to contact us if you need assistance with figuring out which table may work best for your needs. 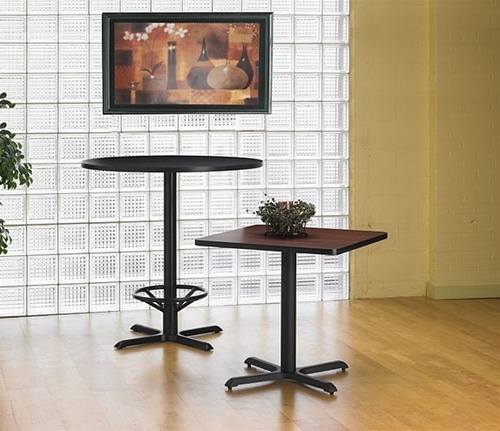 These tables are ideal for a break room, cafeteria, or any hospitality-type setting. If you are faced with a tight timeline, our Standard Series tables are in stock.